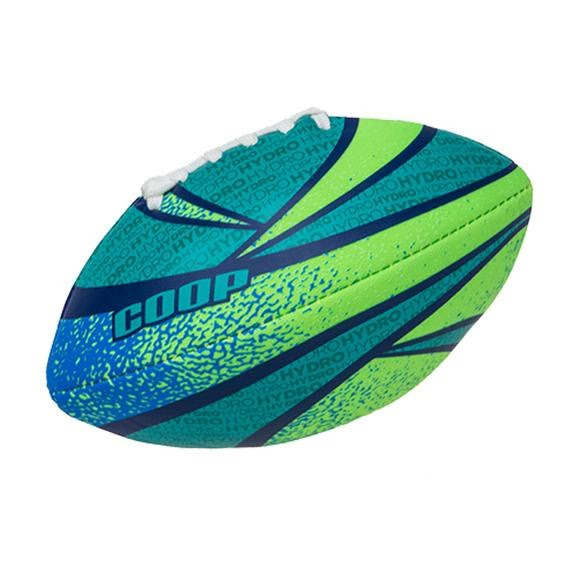 Every game becomes child's play with the Coop Hydro Rookie Ball. This 6" football is small in size but with big features. Don't worry if it's left out in the rain; this ball is 100% waterproof for uninterrupted play and long-lasting durability in all conditions. Assorted Colors - for specific color selections, please call our customer service department at 1-800-800-5083. Every game becomes child&apos;s play with the Coop Hydro Rookie Ball. This 6" football is small in size but with big features. Don&apos;t worry if it&apos;s left out in the rain; this ball is 100% waterproof for uninterrupted play and long-lasting durability in all conditions. Assorted Colors - for specific color selections, please call our customer service department at 1-800-800-5083. Easy for small hands to catch and throw.